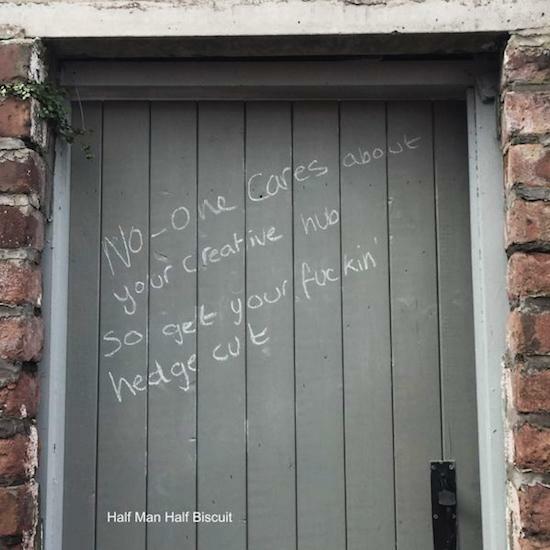 Glad tidings reach us tonight from HalfManHalfBiscuit.uk - the caustic Merseyside overlords HMHB are about to release their 14th LP. This is the band's first new release since the rarities comp, And Some Fell On Stony Ground which came out on venerable Liverpool indie Probe Plus in 2016. There will be more news as we have it but in the meantime, read this excellent treatise on the ongoing brilliance of HMHB to whet your appetite.